JANET JACKSON State Of The World (1989 Canadian 6-track mix promotional vinyl 12" includes State Of The House 12", United Nations 12", Third World 7" and World Dance Mix - all on the 'U.S. 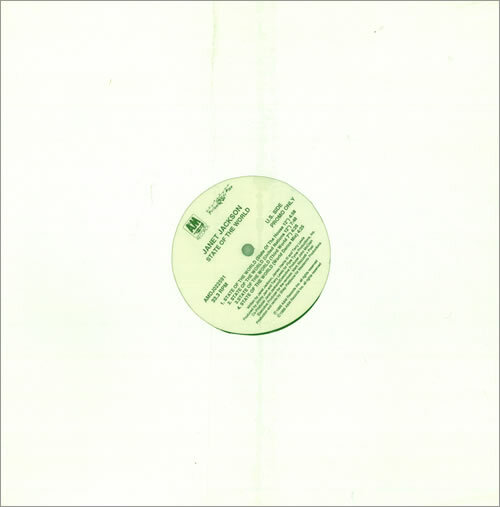 Side', the 'UK Side' features 2 mixes for the Stereo MC'strack 'Elevate My Mind'. Housed in a generic die-cut sleeve which remains factory sealed AMDJ022591). 1. State Of The World - State Of The House 12"
2. State Of The World - United Nations 12"
3. State Of The World - Third World 7"